When it comes to CBD oil, Zambeza Seeds produces only the finest quality products. We use clean CO2 extractions to maximise CBD content, but separate out the presence of all psychoactive cannabinoids. Our oils are guaranteed to contain less than 0.02% THC and are perfectly safe to use and carry with you on the go! 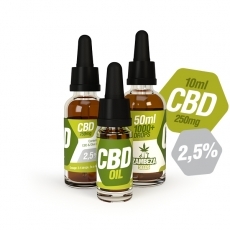 Zambeza Seeds 2.5% CBD oil is legal to purchase in most European countries. For further questions, consult your physician to make sure CBD is legal in your country of residence. 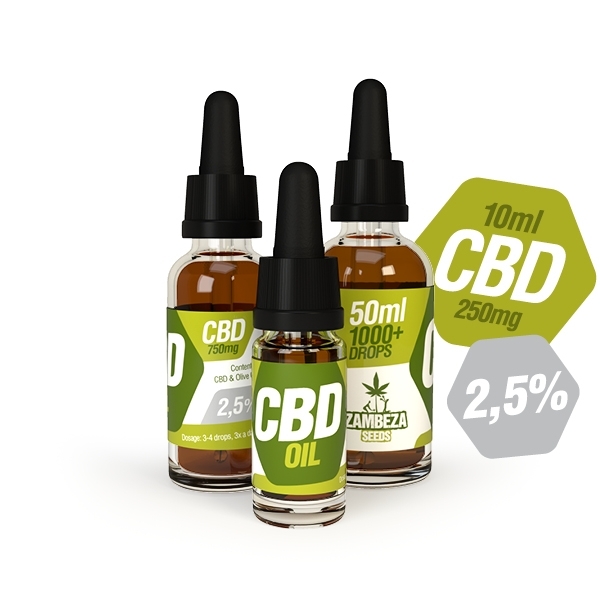 Zambeza CBD oils are free from chemicals and harsh additives like pesticides, herbicides, fungicides and other contaminants that reduce the efficacy of CBD. Our oils are tested every step of the way to make sure the final product is the best it can be. Thanks to extensive purification measures, our 2.5% CBD oil boasts accurate CBD concentrations from bottle to bottle. This makes for more consistent dosing for the consumer. At Zambeza, we believe that CBD oils should retain as many original cannabinoids and terpenes as possible, to produce more wholesome effects as a dietary supplement. This is known as "The Entourage Effect," which argues that when cannabinoids work together, they create something even better than the sum of their parts. We take great measures to guarantee our Zambeza 2.5% CBD oil is packed with all the essential nutrients and compounds from the original hemp plants, to produce more comprehensive dietary benefits. The 2.5% CBD oil is liquid at room temperature, allowing customers to retrieve every last drop they paid for. Due to extensive filtration and the presence of aromatic terpenes, our oils maintain a pleasant scent and taste. Since the 2.5% oil is our smallest dose of CBD, it allows for the greatest amount of flexibility in dosing. We recommend taking 3-4 drops, 3 times a day as an effective dietary supplement. CBD oil is discreet to carry and travels well, but is perishable and should be stored in a cool, dark place, such as a refrigerator.